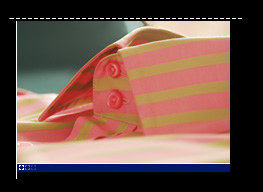 Exporting 95% of its products, Dounitex manufactures and develops top-of-the-range men’s shirts for partners looking for a tailored service. The company's reactivity and dynamic for improvement make it a partner that cannot be overlooked by top European brands. Dounitex is also member and cofounder of Mosaic, first Moroccan consortium in the textile sector. Created in 1984, in the heart of Casablanca, Dounitex manufactures and develops top-of-the-range men’s shirts for top European brands. Its flexible structure, with 200 persons for a production capacity of 1500 units per day, allows Dounitex to offer a tailored service to its customers. Thus Dounitex offers a service adapted to each and every customer with improvement solutions at all stages of the production chain. From this standpoint, a sourcing team assuring monitoring of technological development of new fabrics and accessories was set up. In order to anticipate new trends, this team has also been present at all international exhibitions (Fatex/Interselection, Magic Show, Intertex Milano …) for more than 20 years. As a dynamic and innovative company, Dounitex is engaged in a permanent process of improvement to serve its customers. Therefore, it has computerized the management of the entire supply chain, improved the flexibility of the short term production circuit and introduced an optimization program in its cutting department. Dounitex guarantees its customers perfect reactivity and very short delivery terms thanks to quickly adaptable manufacturing systems, production of short series, geographical and cultural proximity, versatile team, optimized flow management, internal transit service, and privileged status at the customs (token of trust granted to less than 50 companies in Morocco) as well as on site delivery service everywhere in Europe. All Dounitex’s staff is involved in product quality : 14 quality control points are checking quality along the production chain with daily corrective actions. Besides, a meeting of all managers is being organized every week in order to verify audit results and implement immediate improvement measures. All staff members are sensitized and are part of a permanent improvement dynamic. Convinced that a well trained and versatile team constitute a guarantee for a quality service,developing competences and multitask training are the core of Dounitex policies. The company is therefore one of 10 pioneer companies in Morocco to have implemented a Learning Training Center. 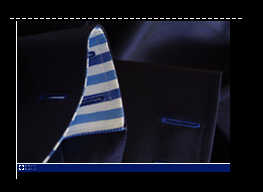 Known in the branch as a top-of-the-range shirt major, Dounitex intends to continue developping by offering its own collections and to spread its activity to the American an Scandinavian markets.